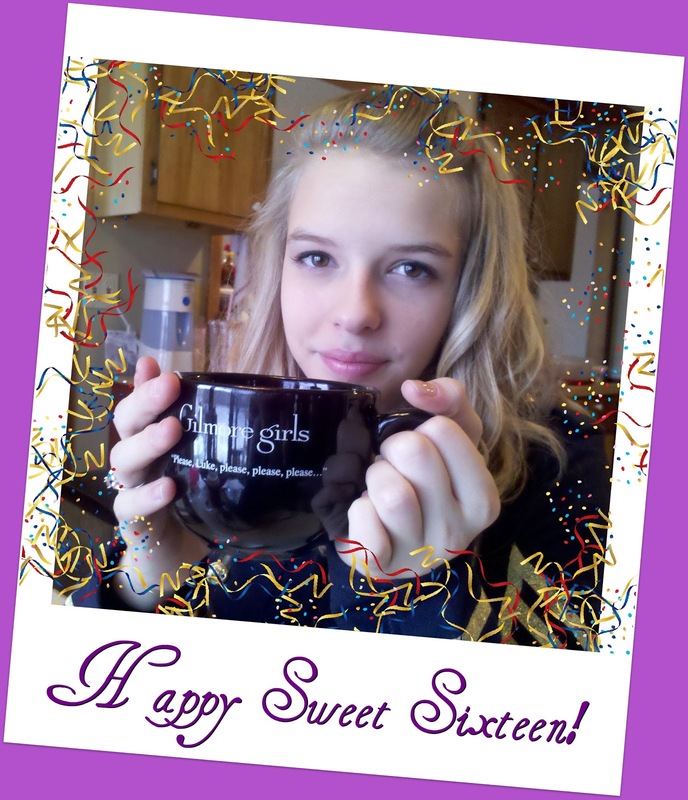 Google+ Reading Teen: Happy Sweet Sixteen to Kit!! Happy Sweet Sixteen to Kit!! We love you!! Hope you have a wonderful birthday!! p.s. I love the Gilmore Girls cup. Hope you get lots of goodies and have a lot of family/friends fun! HAPPY SWEET 16 KIT!!! I hope you've had a fabulous day! I know this is late BUT Happy Birthday and I love your cup! I have an odd Gilmore Girls obsession. I hope you are having a good time tonight during your special birthday surprise... Happy Birthday, sweetie! P.S. Love Love Love your mug!! You must indulge me and tell me where you got it!!! PS: I love Gilmore Girls too! Thanks so much for all the birthday wishes!! It was a fantastic birthday! OMG that cup!!! Where did you get it? !